Have you ever thought how you would survive without communication? The very thought sends a shiver down your back, doesn’t it? Everything you do is dependent on communication today. Think about it, how would your place of work function without efficient means of communication? 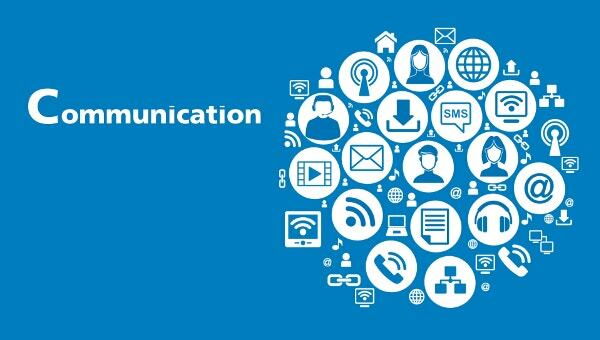 Today, the whole world is run on communication. 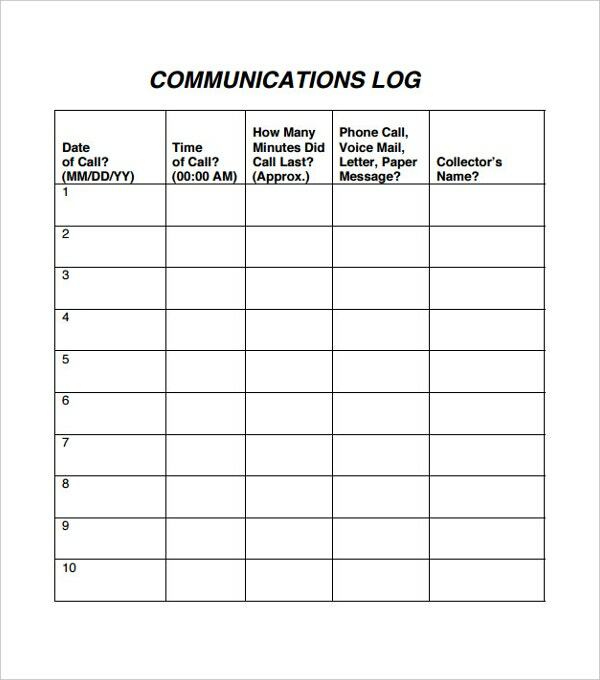 Phones log template, emails and text messages- these are some of the common means of communication. But at the end of the month, you have to deal with the bill that demands a price for such easy communication. 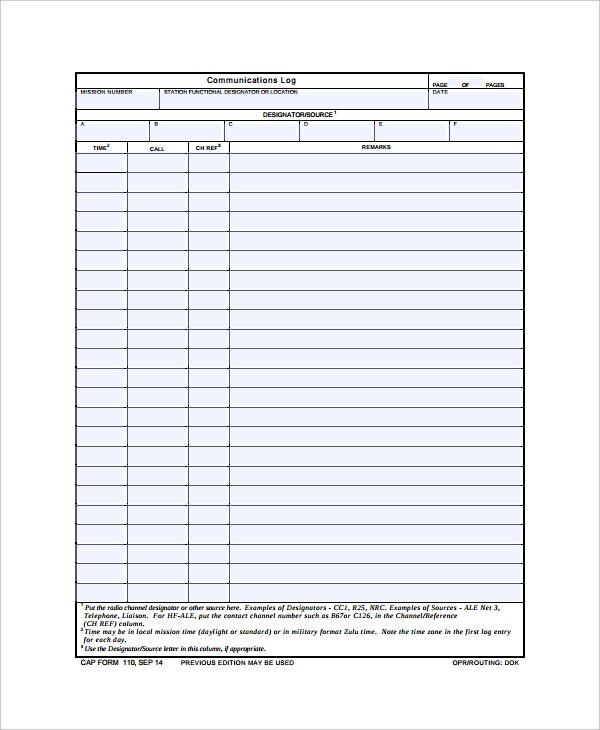 To keep an eye on the bill, you could take the help of communication log templates. A communication log template Word would be of immense use to you, since all you have to do is press on the download option. You will be able to edit and customize the template. How you maintain the record is entirely up to you. A communication log template would go a long way in reducing the bill amount at the end of the month. See this Daily Log Templates. Phone log templates – If your work requires you to make too many phone calls on a regular basis, you should use a phone log template to keep an eye on the number of calls you’re making per day. Message log templates – In this type of template, you would be able to make entries every time log templates you send a text message to someone. That way, you can ensure that you don’t exceed the limits. Email log template – Most of us use emails to communicate with our peers. In fact, we can send emails via our phones now. 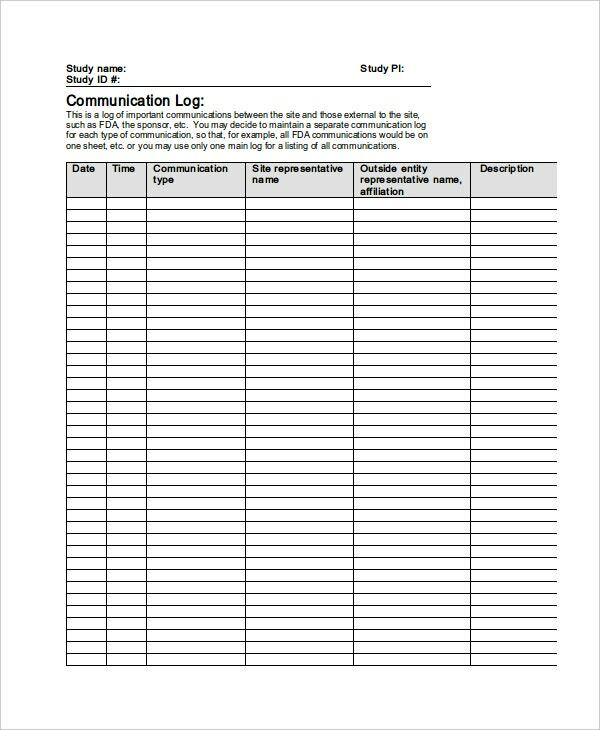 Every time you send an email to someone, you could use this log template. 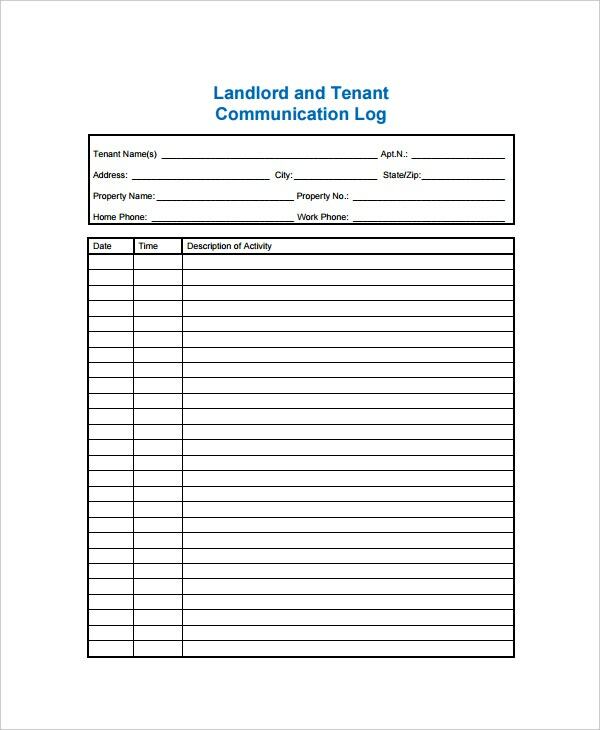 A communication log template is a smart and efficient way of keeping an eye on all your frequently used means of communication. It would help you make sure that you stay within your limits when it comes to paying the bill at the end of the month. > Why go for communication log templates? Communication is extremely important, but it comes at a price, and you have to pay a hefty sum at the end of the month. 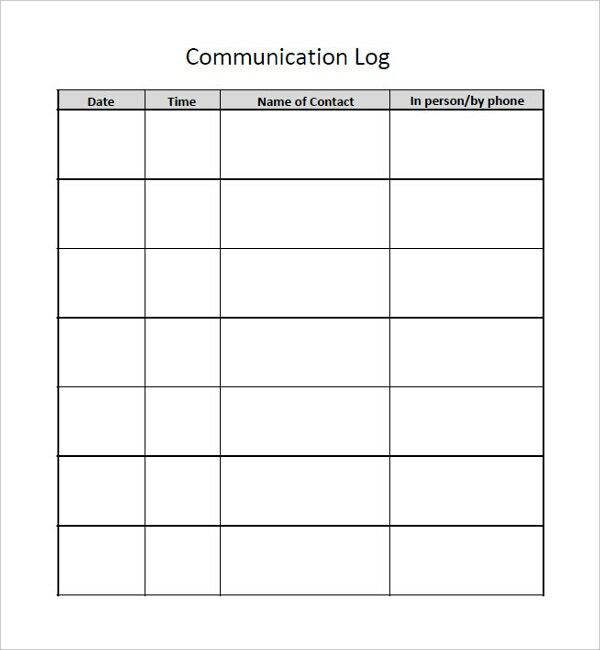 To keep a tab on the amount of money you spend each month on communication you could use a communication log template. You can just download, edit and customize the templates as per your requirements. You can include any number of columns you want in your log and fill them in with relevant details. You can also Food Log Templates. Decide if you need a phone log template or a message or email one or even all three. 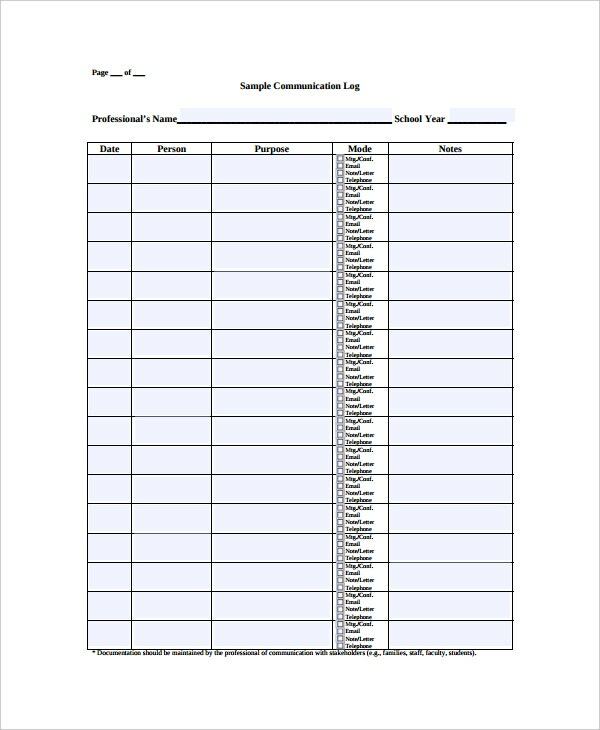 Look up free communication log templates online. You can also see Word Log Templates. If you’ve been looking for the best communication log templates, then you’ve come to the right place. Template.net has the finest collection of the best templates for you.